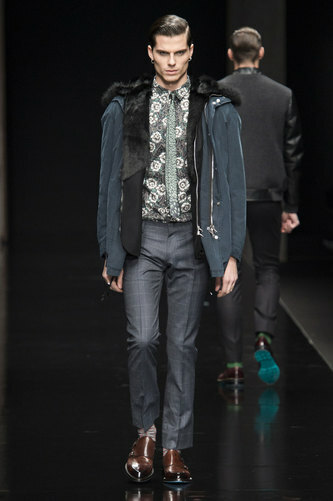 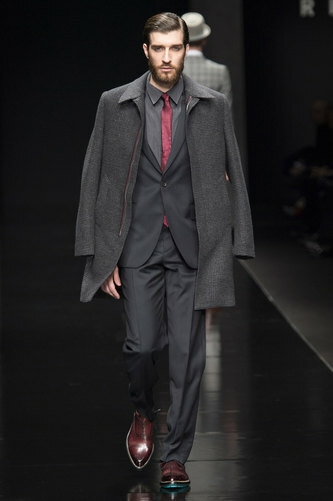 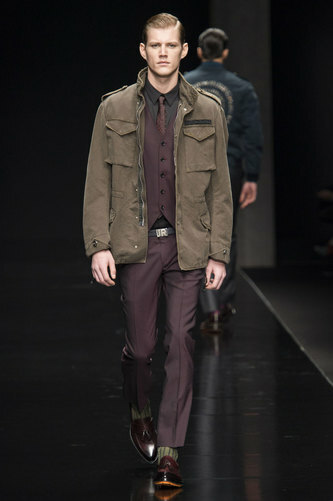 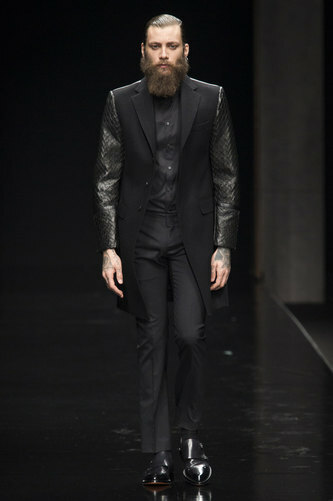 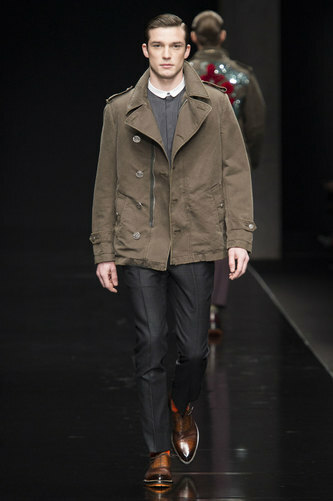 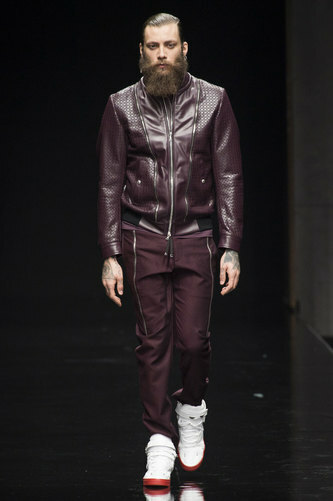 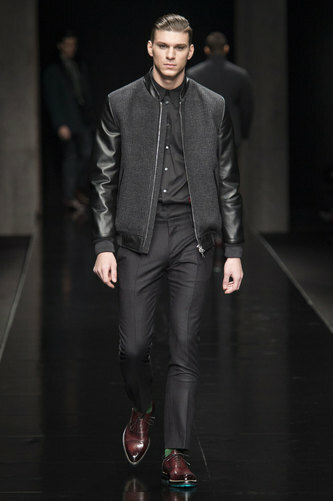 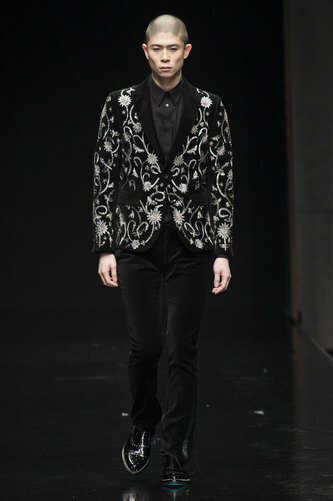 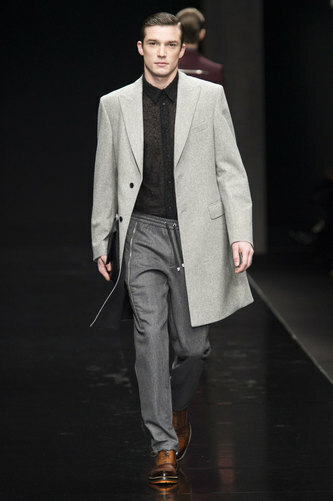 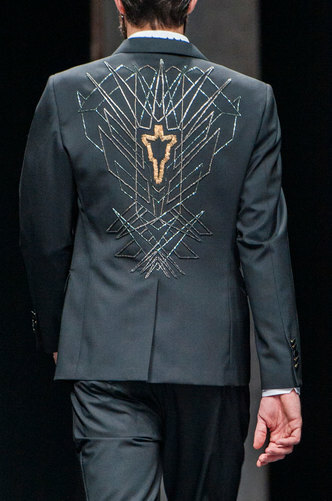 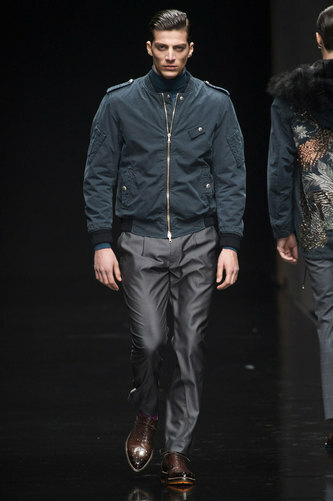 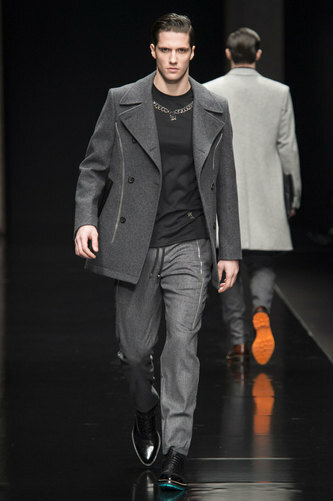 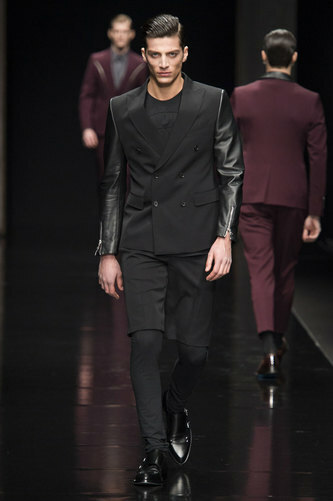 John Richmond Man Autumn-Winter 2015-16 – For this collection John Richmond points his attention to the new man. 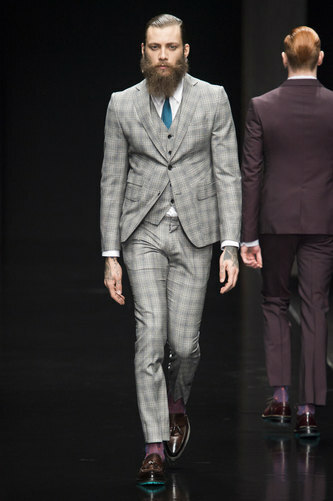 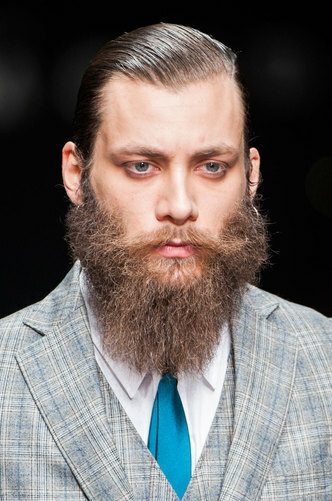 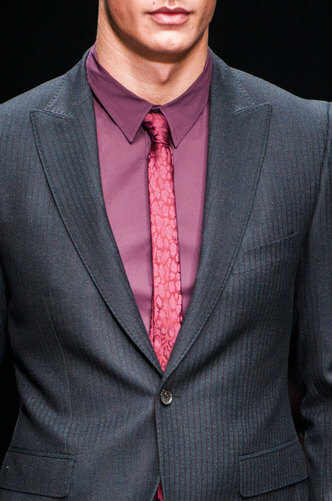 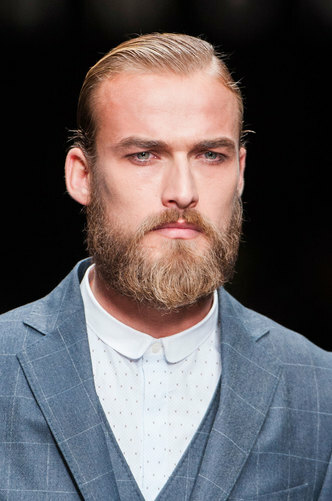 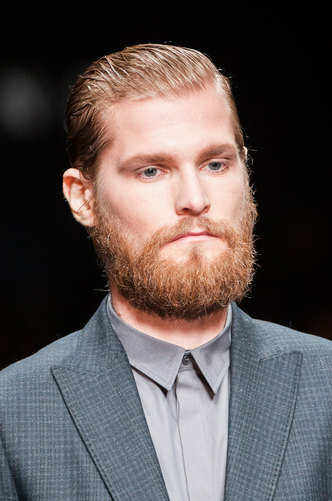 A modern hipster who shows flair wearing suits and ties. 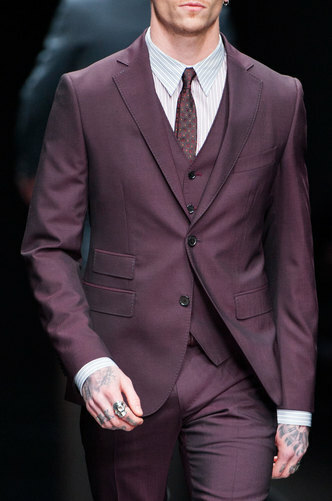 Hands covered by tattoos are shown off as a part of the outfit. 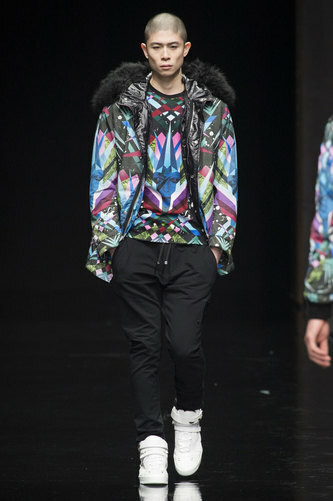 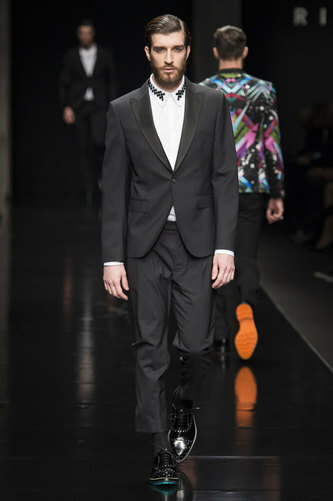 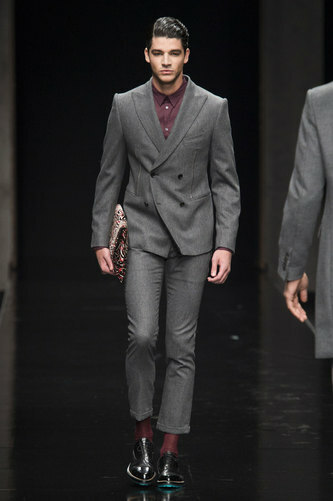 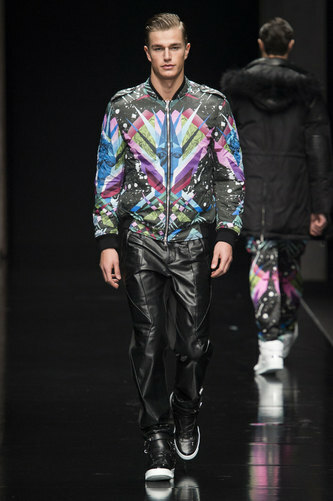 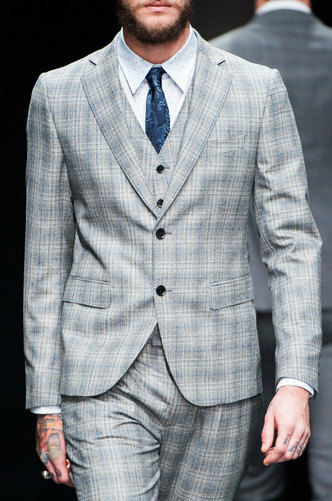 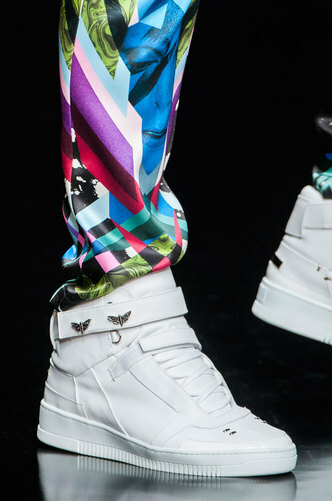 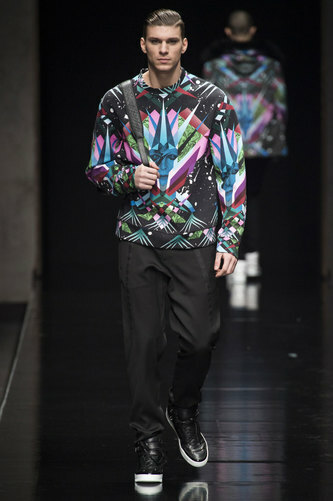 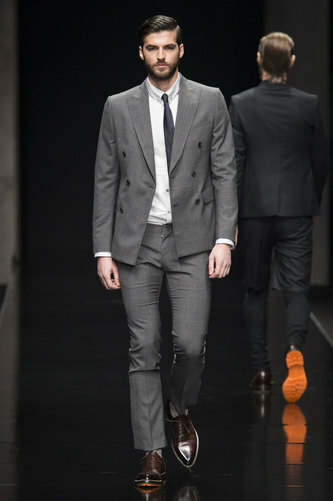 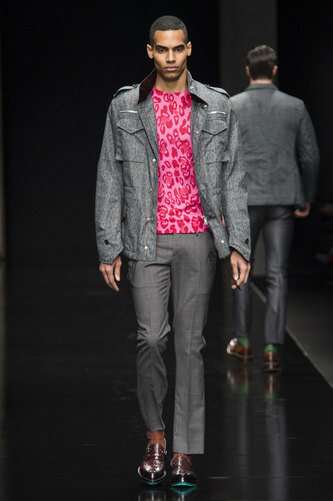 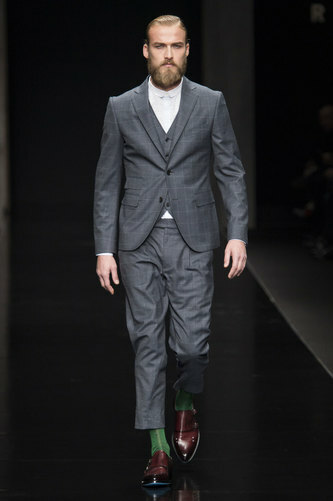 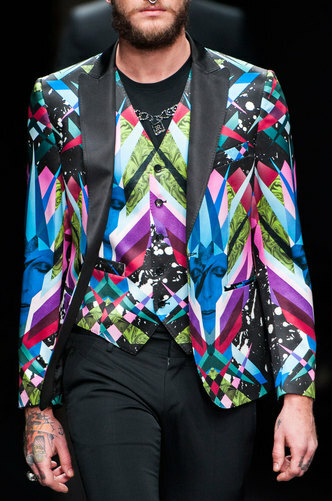 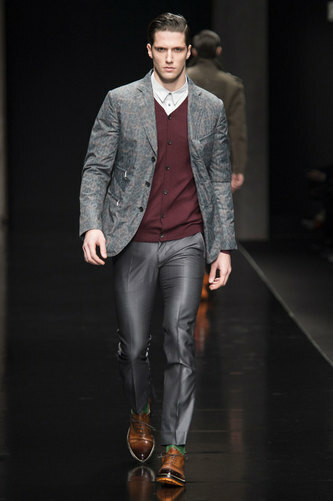 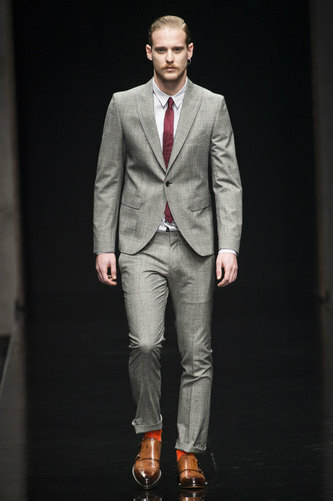 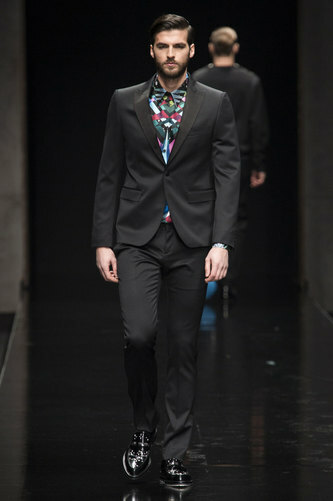 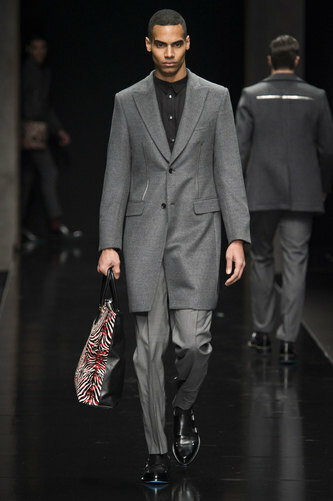 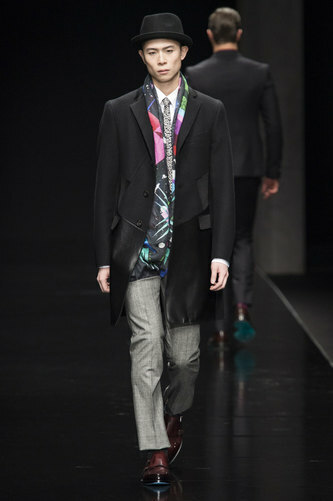 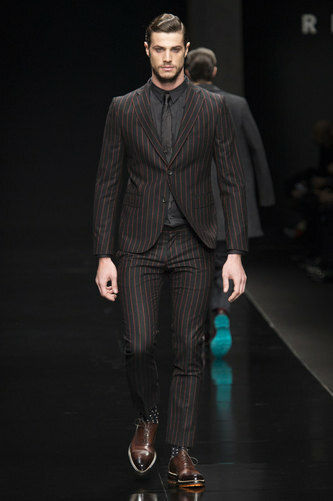 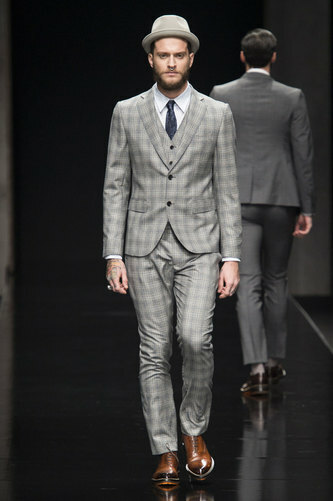 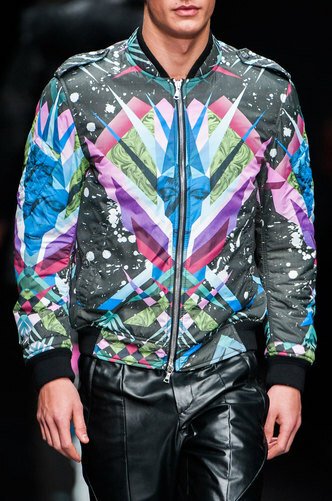 A versatile man who wears also geometrical bright prints and mixes elements effortlessly. 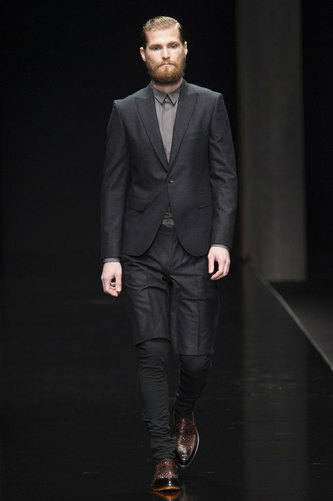 The designer decides to propose some outfits where roomy shorts are worn above tapered pants. 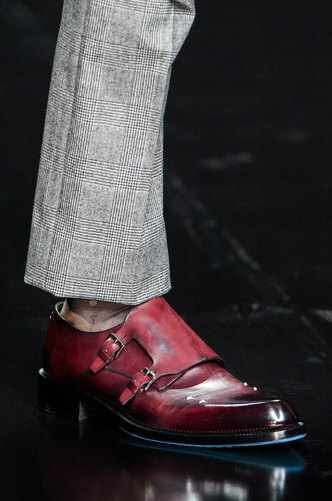 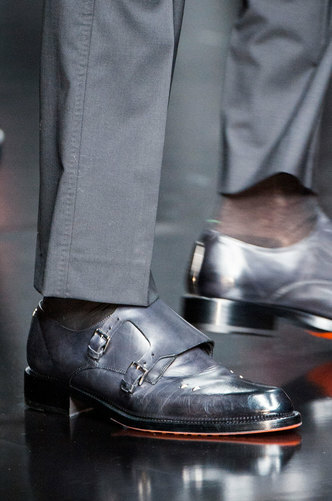 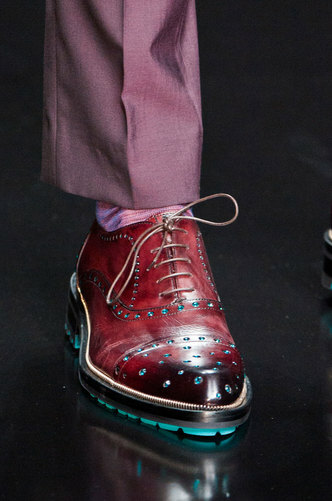 Cropped slacks exposed socks and elegant leather shoes were painted with Blue electricor orange soles. 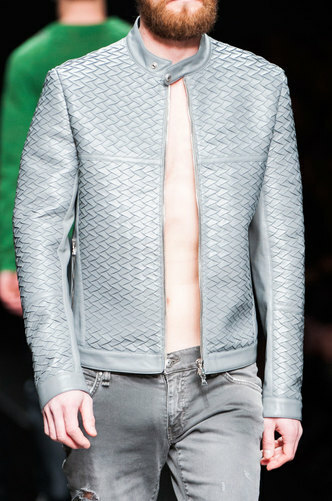 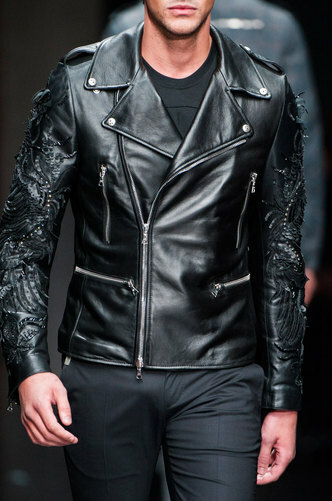 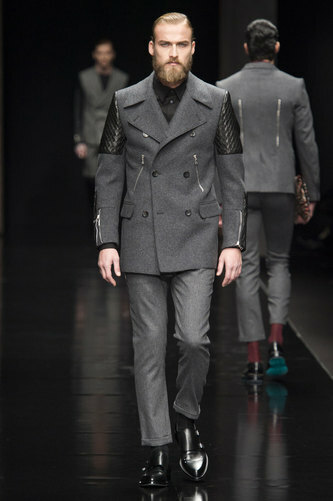 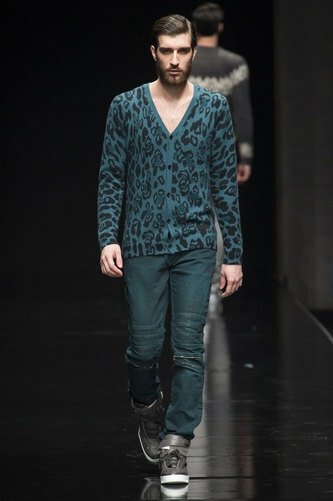 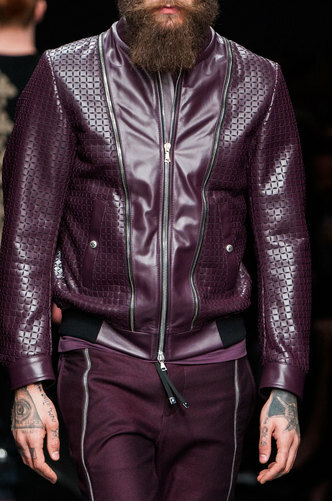 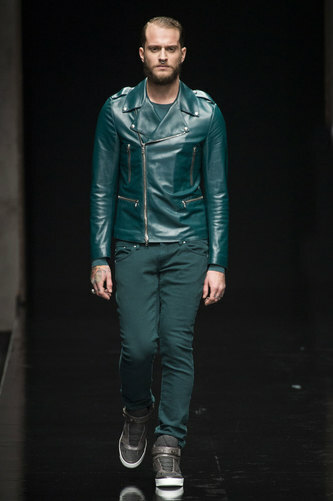 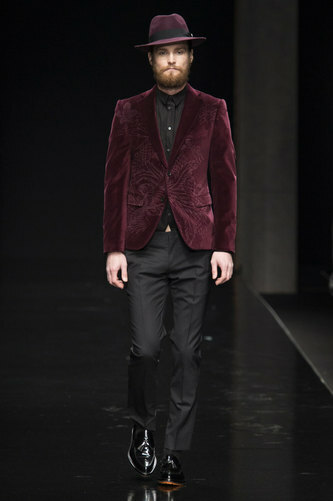 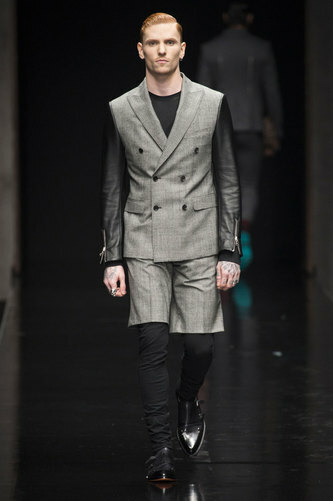 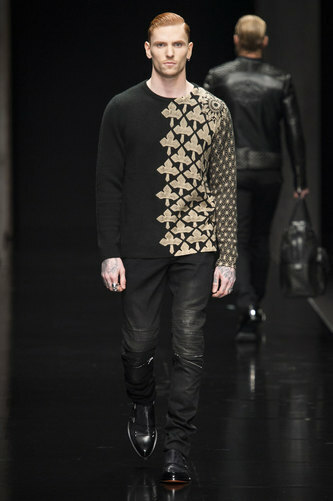 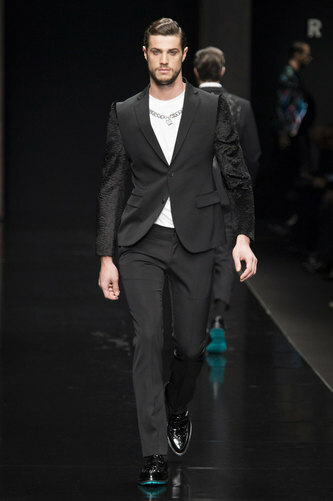 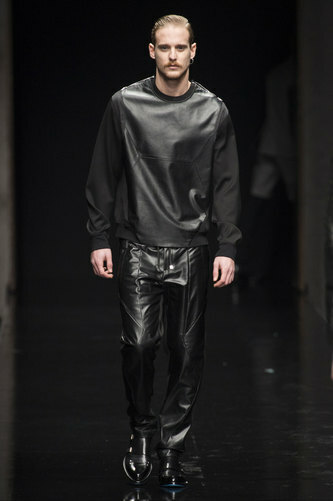 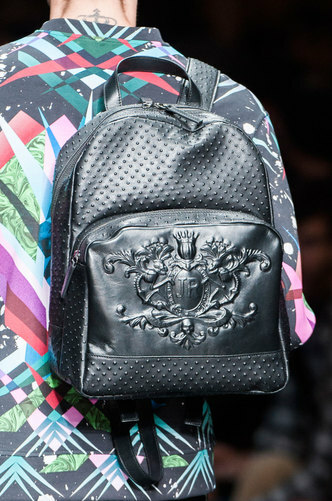 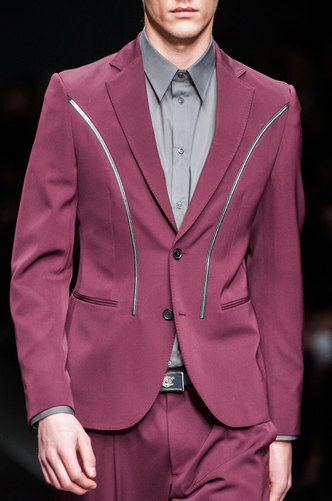 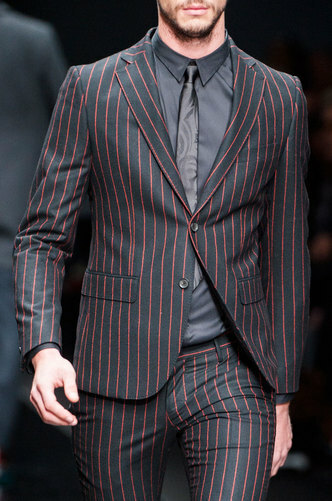 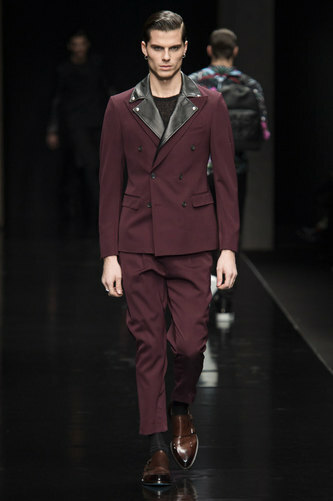 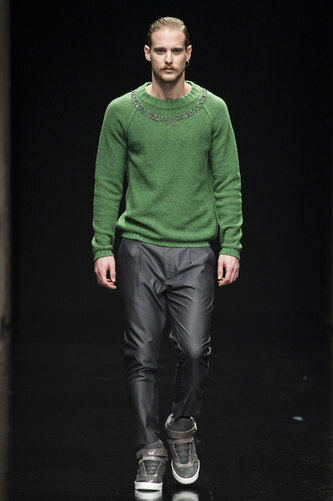 Following the trends of the new season, velvet and leather patterns characterize many of the outfits. 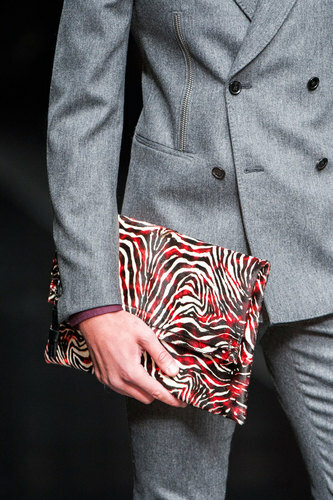 Hints of animal prints here and there, such as floral embroidery. 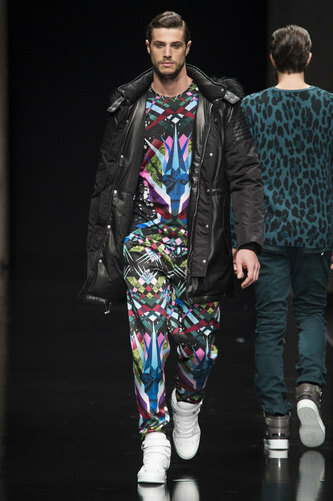 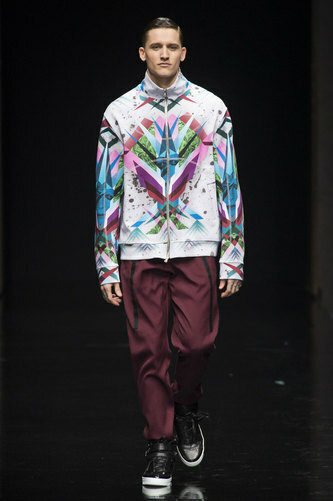 A bizarre colourful and abstract print is chosen by Richmond for some of the garments.